To be a consistently good chipper, you have to “squeeze” the ball off the turf by contacting the ball first and then the ground. This descending blow produces a low-running shot that behaves like a putt when it lands on the green. Unfortunately, too many golfers — usually in an effort to help lift the ball into the air — make contact with the ground first and either chunk or blade their chips. 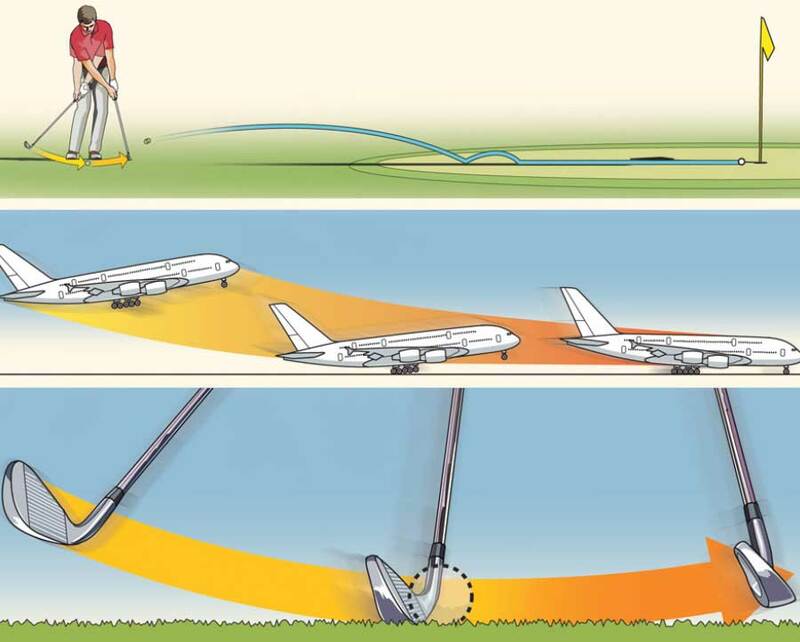 To break this habit, imagine that the clubhead is an airplane coming in for a smooth landing — the idea is to swing the head gradually from high to low, brushing the grass as it makes its way down the runway and into the follow-through. By swinging from high to low rather than low to high, you’ll make much better contact and have better distance control.